Having the necessary critical mass to influence the market is necessary to build structural growth. 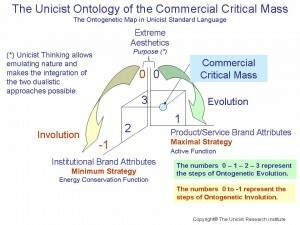 Commercial critical mass uses the fundamentals of social critical mass to build concrete commercial actions that allow influencing the market. Superior aesthetics, which implies satisfying the manifest and latent needs of the potential customers. Superior credibility which implies that the superior value propositions are sustained by an adequate authoritative context. Installing superior product/service attributes that are perceived as attractive by the market. Building product/service brand attributes to differentiate the value propositions and influence potential buyers..
Building institutional brand attributes that sustain the credibility of the product brand attributes. The use of critical masses requires a segmented approach that has to consider the functional, psychological, conceptual and lifestyle segmentations to ensure the functionality of the critical mass. These segmentations need to be transformed into profiles in order to be used by everyone. Having a critical mass to influence buyers is a basic condition to be considered as the first choice in the mind of the potential buyer. To build commercial critical masses it is needed that the responsible person feels that s/he has a critical mass in the environment. This clinic provides the guiding idea to design and build IT Architectures. The maturity achieved by the IT technologies allowed making the next step, the integration of hardware and software with peopleware. The unicist ontology based and object driven IT architecture is based on using the knowledge of the nature of a process, its components and its context to develop a system. This allows generating the results defined by the business model. This technology uses a structural functionalist architectural approach to define the processes and the business objects that are needed and reliable to achieve the predefined results. The evolution of Information Technology generated its own mutation towards an upper level technology that manages hardware and software but allows the integration of peopleware to provide optimal solutions for work processes. Peopleware is defined by the structure of objects that individuals have in their minds which define the models they use when dealing with hardware and software at work. 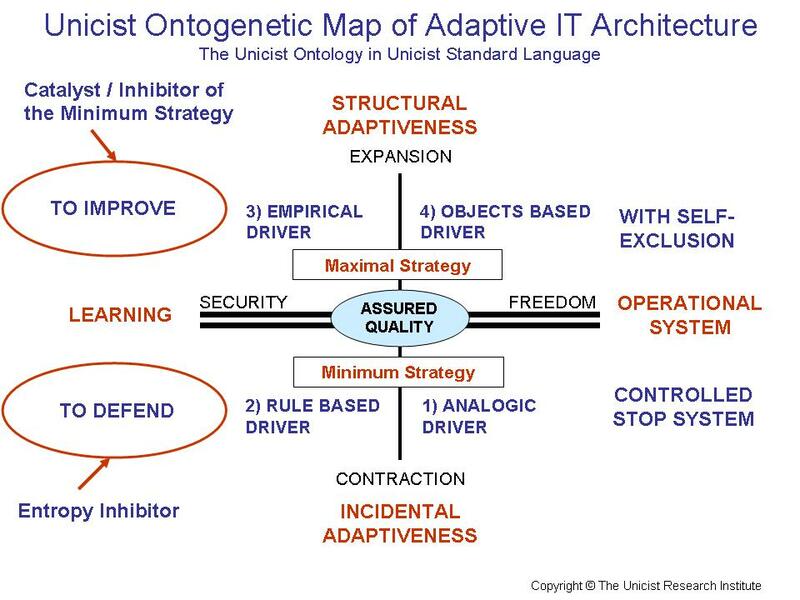 This mutation requires changing the way IT Architecture has to be designed. Peopleware is what allows integrating hardware and software providing the true driver of a work/business model. When peopleware has been defined, an adequate design of an aesthetic software architecture with a solid hardware architecture will make business processes operational. Peopleware is perhaps the most significant development to provide business operational solutions. It allows integrating administrative systems and adaptive systems to upgrade work processes when managing businesses as unified fields. Peopleware is part of an IT architecture applied to work process design. Therefore, it requires having or achieving a sound knowledge of the business/work processes that are being modeled. We strongly recommend taking advantage of the mutation generated by the evolution of the information technologies. This Seminar provides the guiding idea to design and manage adaptive projects. The Unicist Project Management (UPM) was designed to manage adaptive projects in which the dynamic interaction with the environment requires managing feedbacks that change a project significantly. This is the case, among others, of business processes, commercial processes, research processes and organizational processes. These projects need to behave simultaneously as systemic projects, producing what depends on them, and as adaptive processes, in order to interact with the environment. 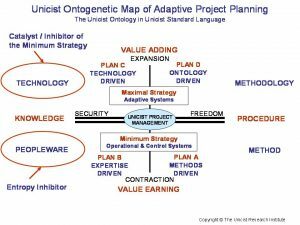 The unicist architecture of adaptive project management can be defined by the use of a business objects based execution that is driven by a solution approach. The development of adaptive project planning includes the use of plans A, B, C and D to manage the adaptive project. 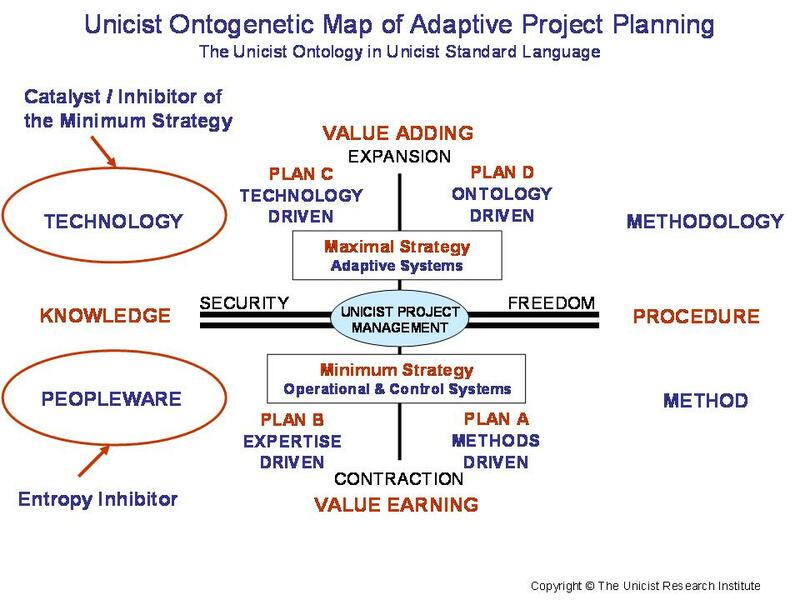 Plan A is the basic plan that follows the ontogenetic map of the solution of a project. It is the most participative project planning and management because it is based on the influence the manager exerts on the project. Plan B is a superior plan that includes plan A plus an entropy inhibiting object for the resistance. It is based on inhibiting the entropy by using expertise driven objects and the management of the peopleware of the project. 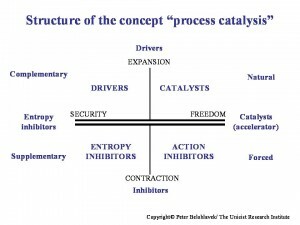 Plan C is a superior plan that includes plan B plus a catalyzing object to accelerate the change. It is based on the use of a technology that allows establishing a superior, although less participative solution for the project. Plan D is a plan to abort the project if the possibilities of success are not given. It includes the development of a succedaneous solution. The observation room for the Market Labs has been launched. 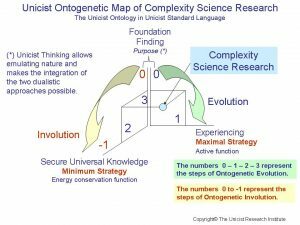 It allows newcomers to become acquainted with the unicist complexity science research methodology. The Market Lab research is coordinated by Diana Belohlavek. There is a general research methodology that has to be followed to define the validity of a unicist ontological structure that is needed to deal with human adaptive systems. 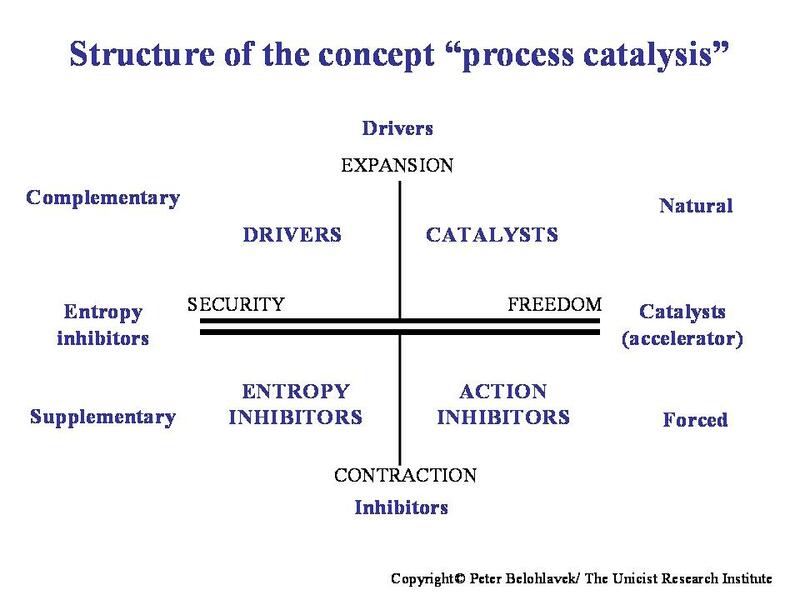 Develop the hypothetical structure of the ontology. Analyze the ontology and divide it into sub-ontologies following the laws of complementation and supplementation (only when necessary and possible). Define observable results that need to be considered to validate the ontology. Define the application fields of the ontology to validate its functionality. Develop the applications beginning with destructive and non-destructive pilot tests to forecast reality. Develop at least five experiences in the application field differing completely one from the other. Develop forecasts of at least three periods with full certainty. Restart the research process every time a deviation occurs. Unicist Ontologies are omnipotent fantasies unless they have been tested. The testing of ontologies implies testing their functionality and requires a precise design of the tests. The “trial and error” use of objects is not a pilot test. Falsification, in the field of complex problems, implies finding the limits of the validity of a given knowledge. To do so, it is necessary to develop experiences in homologous fields until the limits of validity are found. It defines the unified field that can be apprehended. The falsification process is a destructive test for knowledge that is applied to realities with incomplete homologies. The destruction occurs when a condition is found to demonstrate the fallacy of the knowledge. Validation implies the factual confirmation of the validity of knowledge. Validation is achieved when knowledge suffices to exert influence on a reality in a predictable way. The Unicist Research Institute developed the necessary technologies to build adaptive systems to manage automatically the feedback from the environment. One of the paradigmatic areas where adaptiveness becomes necessary is the commercial activity. That is why the Unicist Adaptive CRM becomes the next stage for commercial organization. 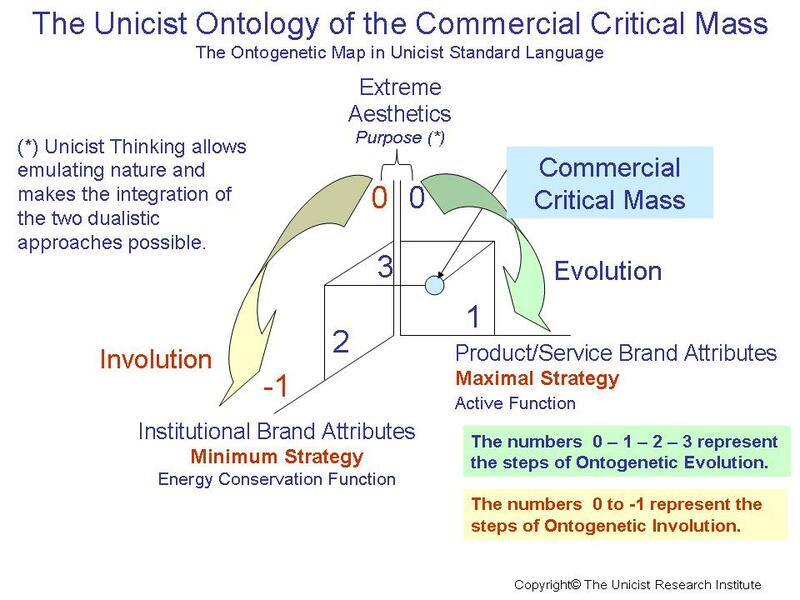 It uses the unicist logical information provided by the ontogenetic maps or the markets, its segments and of each of the commercial functions. 1) There are analogical drivers that are based on the recognition of patterns. 2) There are rule based drivers that include the preexisting and add rules that correspond to the activity. 3) There are empirical drivers that include the preexisting and add empirical information obtained using mathematical models. 4) There are objects based drivers that include the preexisting and add concept based objects as intrinsic adaptive systems. 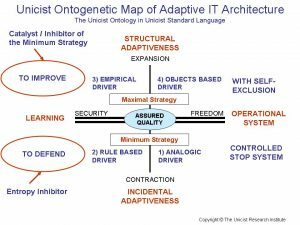 Unicist Adaptive CRMs are developed by in-company or outsourced Market-Labs and the rules it managed are patented for each company. The implementation is in charge of members of the Unicist Confederation who are CRM experts. 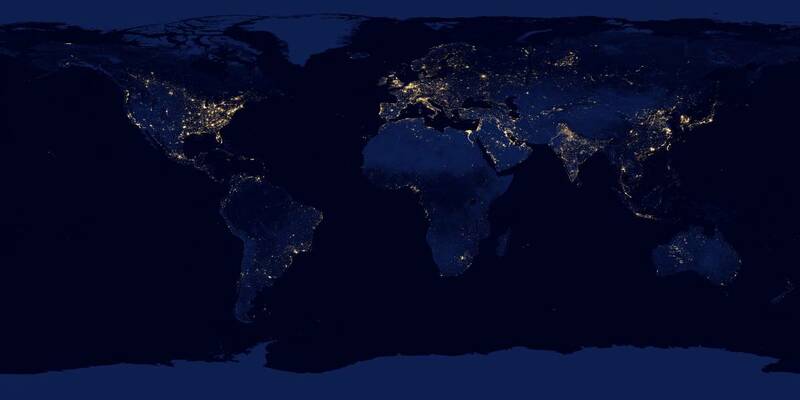 NOTE: The Unicist Research Institute was the pioneer in complexity science research and became a private global decentralized world-class research organization in the field of human adaptive systems. 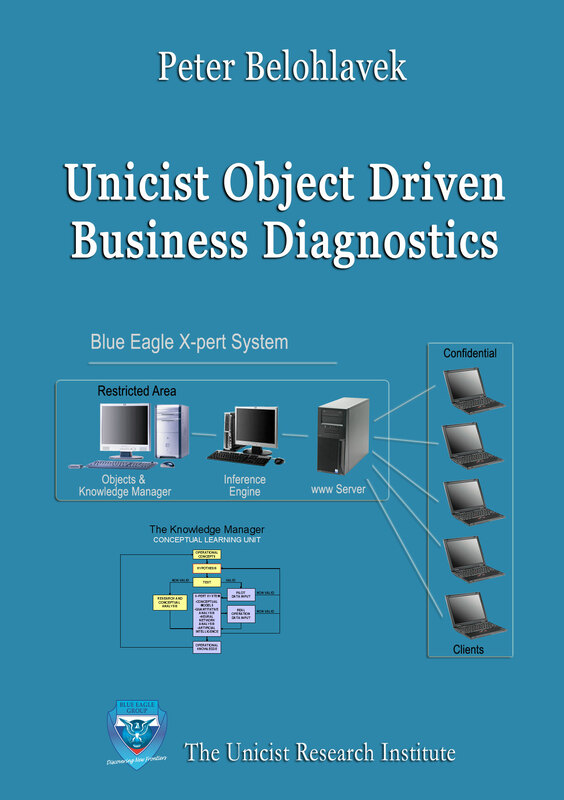 Unicist object business diagnostics is based on three central aspects that allow developing accurate diagnoses, scenarios and strategies. 1) It approaches business beginning with the understanding of their nature and ending with their operation. Dealing with their nature implies having apprehended their ontological structure. 2) Businesses, institutions and markets are considered as “business objects” being evaluated through their added value. Considering them objects they are defined using the existing ontological structures and the facts they produced. 3) Being fundamentals the drivers of actions, diagnoses begin by fundamental analysis and end integrating it with technical analysis in order to include the necessary forecasts and action plans. NOTE: The Unicist Research Institute is the major research organization in the world in its specialty based on more than 3,000 researches in complexity science applied to individual, institutional and social evolution. The applicative researches are based on the discovery of the Ontogenetic Intelligence of Nature and the consequent Unicist Theory of Evolution. If you would like to receive monthly information on this blog, please register here. Dealing with the nature of businesses allows simplifying complex business problems. 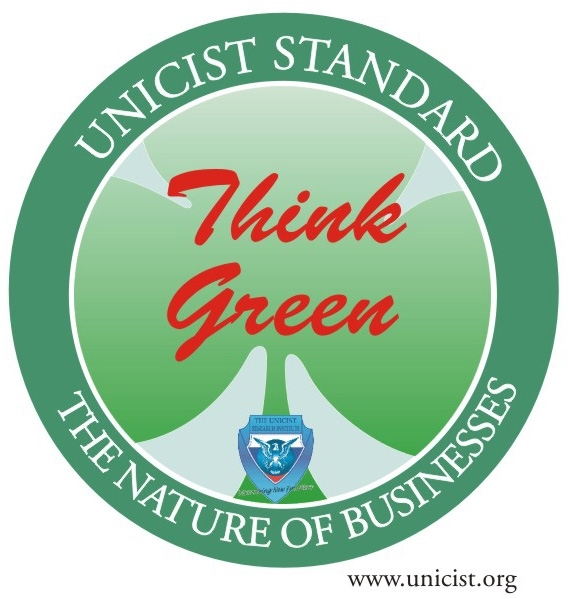 Using the Unicist Standard you will be able to save an enormous amount of energy based on the use of Unicist Business Objects. They will also allow you catalyzing commercial activities to expand the boundaries of your markets. 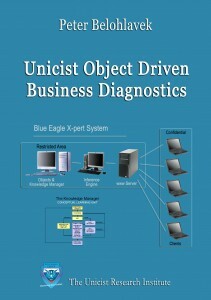 The implementation of Unicist Business Objects using unicist object driven technologies makes dealing with adaptive systems simple and logical. We are opening the Unicist Customer Relationship Management Technology to the business community. 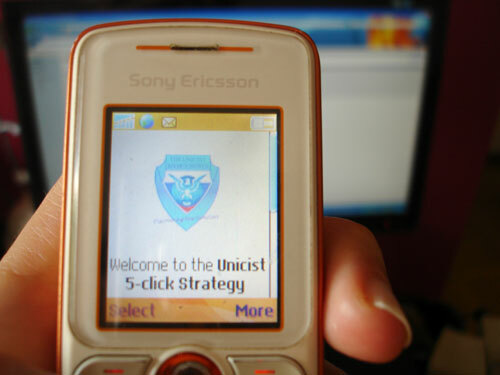 Now you can use the Unicist 5-click Strategy, a simplified expert system, to define how to approach clients when selling an innovative solution to companies or within companies. The system works on your Cell phone. This technology is a Unicist Standard used in the Unicist Confederation. To understand the structure of the Unicist CRM you can also download a printable triptych to use in the process. The Portuguese and Spanish versions will be available by the end of next week. The Open Source Programs, to develop adaptations, will be available on April 30, 2010. 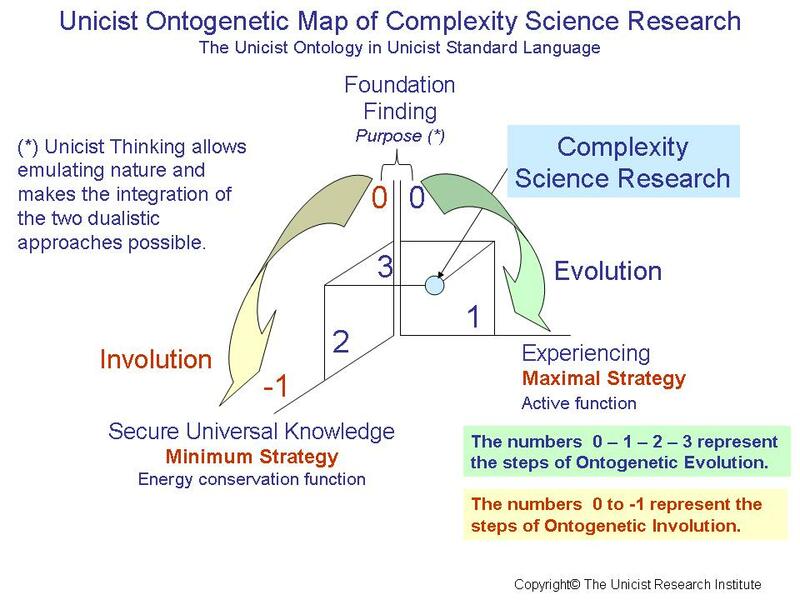 NOTE: The Unicist Research Institute is the major research organization in the world in its specialty based on more than 3,000 researches in complexity science applied to individual, institutional and social evolution. Internet is a natural tool to sustain the building of growth for B2B Companies allowing going beyond the boundaries of the present markets.  The Internet Module of the Blue Eagle X-pert System provides the necessary information for conceptual design evaluating the integration of the Functionality, the Aesthetics, the Semiotics and the Language of the Internet communication. Specifically, Internet can be used as a catalyst for the growth of businesses. This requires the use of Websites with Blogs in order to integrate the communication of the Websites to empower the attributes of the brand and the Blogs to sustain the leadership of the Company. A navigator is the person on board of a ship or aircraft responsible for its navigation. The navigator is not the captain, but provides the information to the captain in order to make adequate decisions. Therefore, the navigator’s primary responsibility is to be aware of the ship or aircraft’s position at all times. 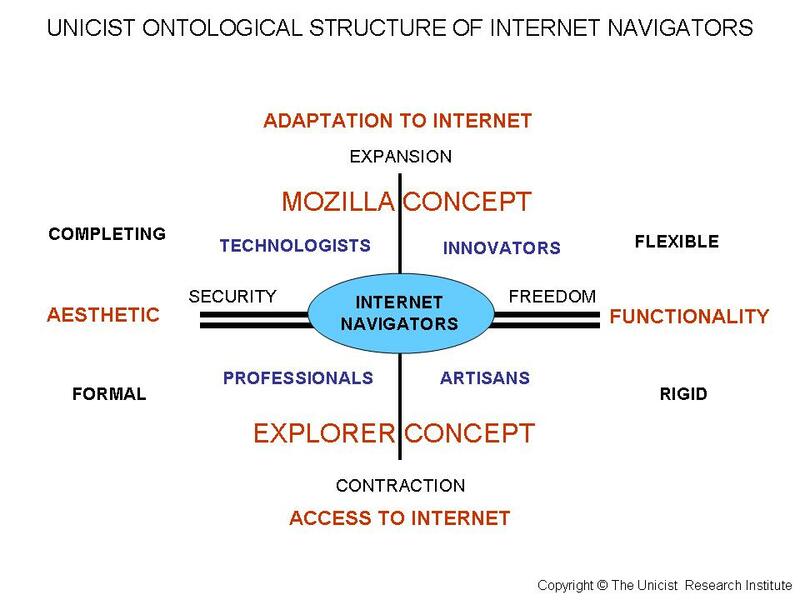 A Navigator on the Internet is an object that substitutes the individual that navigates a ship or airplane to position the user in the World Wide Web. In order to benchmark Mozilla’s experience we would consider that it is a way to navigate the Internet providing alternatives to the “captain” in order to use the platform as a tool to develop the activity s/he has planned. The Microsoft Internet Explorer (IE) is simpler.  It provides basically a rigid navigation platform to ensure that individuals can access information. IE doesn’t pretend to be an adaptive platform. It pretends to be a simple access to the Internet. 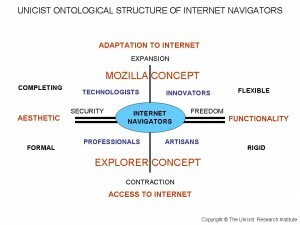 Thus it is the natural navigator for individuals who just use Internet as an access to information. The more participative the design of the navigators, the more flexible they can work. The more flexible they are, the higher the level of the “persons” to deal with them. Mozilla is an example that can only be benchmarked if it is experienced in real use, as well as its comparison with the Internet Explorer Concept. This benchmark will help you design adaptive systems. The Unicist Standard allows developing flexible designs with quality assurance. We recommend listening to John Lilly’s lecture, CEO of Mozilla. You will access the core fundamental of Mozilla’s success.